NOTE: These are approximate times—severe weather, strikes, and unforeseen events may alter schedule and are beyond our control. TIMELINE: “Days” within the shipment window start the following business day and after leaving the carrier depot. 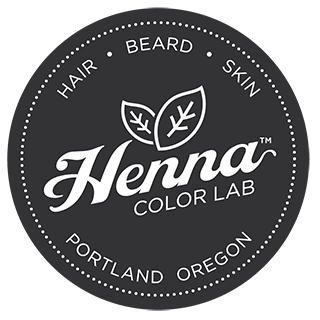 Email our office: sales@hennacolorlab.com (or submit through our contact form). Write out your cancellation request along with name, address, and order number. Important: Please cancel your order before 2 p.m. PST (Mon-Fri). All orders are processed and shipped same day by 2 p.m. PST (Mon-Fri). No shipping Sat & Sun. Once shipped, we cannot refund the shipping costs in either direction and a 10% restocking/process fee may be applied. Note: Cancellations beyond 24 Hrs (if Not shipped [weekend, holiday]) are subject to a 10% restocking/processing fee of original price. Affix proper postage for the return package (return postage is the responsibility of the customer). Allow 10-14 business days to receive, inspect, and refund your account (or exchange & ship product). A flat rate shipping amount will be added to the exchanged order: ($2.99-$5.99 depending on items within US) *INTL shipping rates will vary and be priced accordingly for exchanges (email the return/order details if exact rates needed). Important! If the Shipping Address matches your order “Ship To” entry, we cannot issue a refund (products or postage). Customers must be accountable for address information and accuracy. If there’s an address error, please send us notification ASAP by following the below. Write “ADDRESS UPDATE” in the subject and provide your address correction request along with name and order number. Very Important: Please correct/update your order before 2 p.m. PST (Mon-Fri) of day ordered. All orders are processed and shipped same day by 2 p.m. PST (Mon-Fri). Once shipped, we cannot retrieve an incorrectly addressed package, and they often go abandoned. If the USPS should “return to sender” the package will be processed via a third-party (they cannot reship the package to a new address). The product costs will be refunded to the payment method used at purchase less 10% processing. Original shipping costs cannot be refunded. Shipments sent with “Free Shipping” will have the true shipping costs subtracted from any potential refund. *We do not guarantee retrieval/refund/re-issue of misaddressed packages.